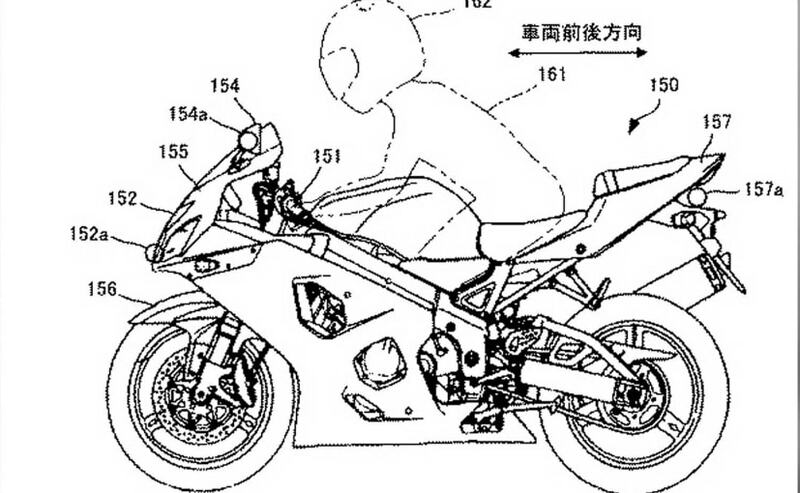 Future Suzuki motorcycles may come equipped with radar-based advanced rider assist systems (ADAS) as latest patent images indicate. Suzuki may be the next two-wheeler manufacturer which is likely working on advanced rider assist systems (ARAS) which could be based on radar technology. 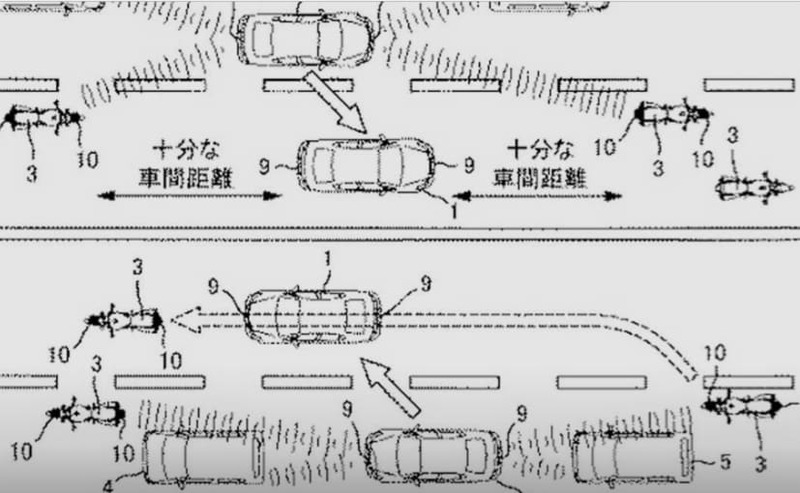 Images filed in a recent patent in Japan indicates that Suzuki is looking to install radar reflectors at strategic points on their motorcycles to make them more visible to other vehicles - vehicles which already have collision sensors installed on them. Collision sensors and advanced driver assist systems (ADAS) are the latest technologies to have been introduced in building safer cars, warning drivers of potential collisions and even triggering evasive measures like braking and deceleration. Motorcycles, and indeed, any two-wheeler on the road isn't always visible to other motorists, and being in the blind spot of a car driver is not always a good sensation, when you realise that the car may suddenly change lanes or brake without noticing a motorcycle in the vicinity. And if sensors can warn other motorists about the presence of a motorcycle, then it's only good news, because it increases a motorcycle's visibility on the road to other motorists. That is precisely what the new Suzuki patents seem to be doing. The radar reflectors in the patent images will work in tandem with advanced automobiles, like self-driven cars, who can sense the presence of a motorcycle. Now, these don't seem to be designed to make the motorcycle brake or take any evasive action sensing a potential collision, but even if it's just warning other cars of the motorcycle's presence, it may seem like a good idea to have such technology installed. Radar-based safety technology isn't all-new. Bosch has been known to be working on such ARAS for some time now, and motorcycle brands like KTM and BMW Motorrad have been testing such technology, and possibly radar-based motorcycle technology will debut sometime later this year, possibly at the EICMA show in Milan. While the Suzuki patents may not be hi-tech radar-based systems which trigger the motorcycle's electronic safety systems, like braking, cruise control and deceleration, these do go a long way in making motorcycles more visible on the road. And that's a better thing to have than relying entirely on the rider's reflexes when a car does not sense the presence of a motorcycle in its vicinity. The radar reflectors seem to be still in concept stage, but the images seem to imply that these reflectors may be available as a bolt on system; so as more and more cars come equipped with advanced driver assist systems, it may be an easy retrofit, even on older or current motorcycles. And yes, these reflectors can be a good pre-emptive safety measure even for human error on the part of car drivers - who may be distracted by a passenger, or even a cellphone.